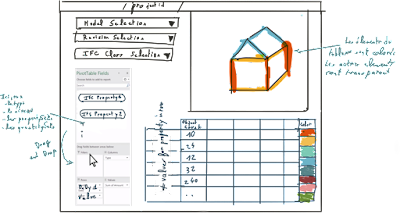 To spread usage of building models, it is important to provide easy to use interfaces to extract data from these models. Being able to see a model and interact with it is a good first step. The next one is obliviously being able to extract quantities from this model. My first attempt at creating a quantity take-off system for bimsync assumed that all the models I wanted to analyse will follow the same structure. This was necessary to be able to create a first dashboard and then keep meaningful results in this dashboard as the model evolved. 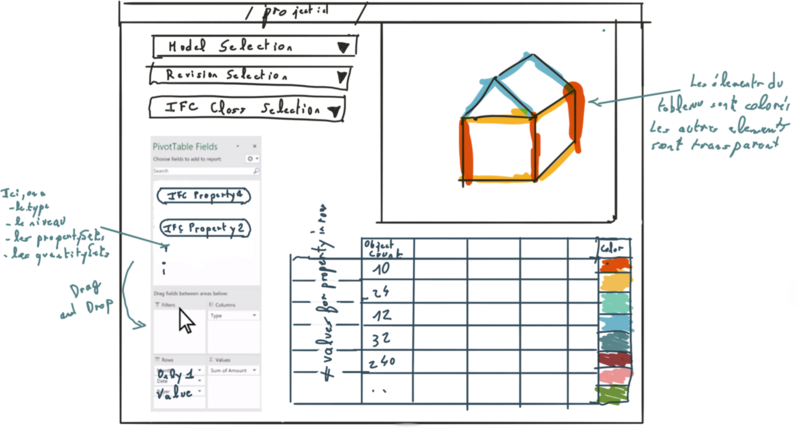 But a lot of models I receive don’t follow a rigorous enough structure to be able to extract them through a Power BI dashboard. I wanted to be able to analyse less structured models. So, I needed something different than my previous dashboard-based solution. I looked for inspiration in many quantity take-off systems from various software packages. I took notice of the one from of Solibri, which I found quite good. I also drew inspiration from the pivot table systems available in Excel and Power BI. The main idea was to replicate the principle of the pivot table on a building model.